Smart use of social media has catapulted a North Somerset hotel into the Marketing Times list of Top 30 UK hotels on Twitter – well ahead of London's Ritz and the Four Seasons. DoubleTree by Hilton, Cadbury House in Congresbury is rated number 11 with a score of 98.1* out of 100. The Ritz came in at number 20 while the Four Seasons was placed 30th on the list which assesses how the impact of a Twitter account. 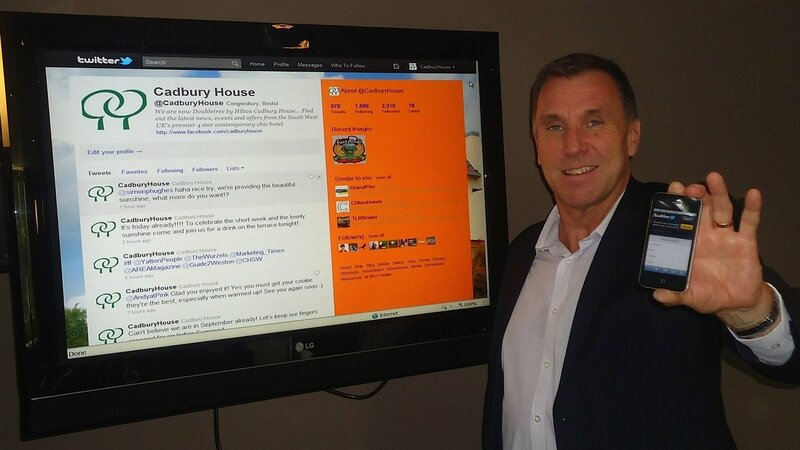 DoubleTree by Hilton, Cadbury House views the online social networking site as an integral part of its marketing mix. “We have worked hard to make content on the account interesting and effective," said general manager Colin Badcock. *A rating of 98.1 means that Cadbury House tweets have more of an impact than tweets from 98.1% of all other hotel Twitter accounts graded by the Marketing Times.